We have all kinds of people wanting to pick up some of our artificial grass, here at Great Grass, and one of the most popular uses of our product is for dog kennels and dog day care centres. A couple of blogs ago we shared some lovely pictures of some happy pups at Scooby’s Doggy Day Care enjoying some of our artificial grass for dogs. Now, we’ve got some more snaps to share, this time from Royvon Training School and Boarding Kennels. Take a look at these faces; they’re sure to brighten up your day! We love this family portrait – just as much as they love the artificial grass for dogs. How awesome is this action shot? One’s looking scared and the other is looking sheepish – who knows what’s just occurred. What we do know is that this picture proves that dogs love to play around on artificial grass. You can see from the pictures of the dogs galloping and frolicking about that there’s no better surface for them to play on than artificial grass. They love it just as much as natural grass, but it’s us that see the benefits with no mud, no mess and no mowing! 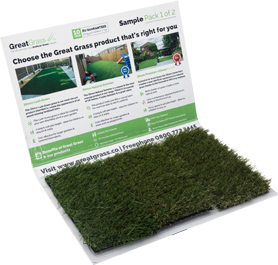 If you’d like to learn more about our artificial grass for dogs then call 0161-6850071 for any advice or to order a free sample pack of artificial grass. I think we have time for one more picture too – “I’m ready for my close-up!” SAY CHEEEESE.